London, 2017-Apr-18 — /Travel PR News/ — A new arrivals lounge has been unveiled at London Heathrow Airport which will benefit both passengers and airport visitors alike. The lounge located in Terminal 4 arrivals will feature 25 luxury shower rooms, a lounge and bar area and a new and unparalleled dining concept, Flight Club. The arrivals lounge can accommodate up to 75 people at any one time and Flight Club is unique to Plaza Premium Group offering a dining experience inspired by healthy eating. The concept has been specifically designed for travellers that are renowned for eating unhealthy whilst travelling. The concept is inspired by the use of herbs and seeds and the dishes are visually enticing and blended of colourful ingredients sourced locally and also mindfully. Flight Club aims to change the way passengers dine at the airport as Plaza Premium Group believes that healthy eating can be made possible for all, even whilst on the road. Flight Club also features a slow pressed juice service, serving drinks that are nutritionally rich and feature a variety of superfoods with the overall aim to boost health and well-being; Happy Tum-Tum betters digestion, Charge Me Up is a morning refresher and The C Booster helps improve immunity with a blast of Vitamin C.
Pauline Cheung, Regional General Manager of Plaza Premium Group United Kingdom and Europe said: “Plaza Premium Lounge Heathrow is committed to improving the customer experience for travellers and further enhance the experience of travelling. The new arrivals lounge follows the continued success of Plaza Premium Group at London Heathrow Airport and the first step in the Group’s expansion plans for 2017. 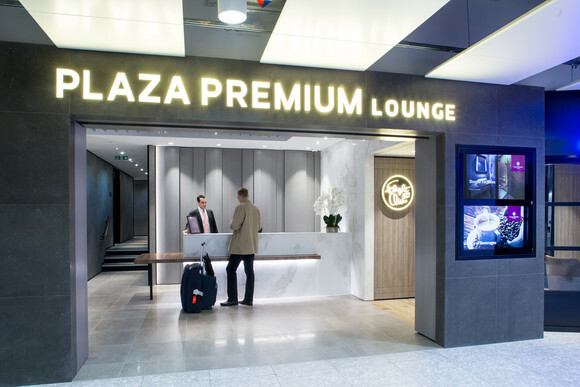 John Arbuckle, Heathrow’s Head of Property said: “We are delighted to welcome Plaza Premium to Terminal 4 arrivals. This lounge is a quiet sanctuary for passengers looking to refresh and relax, ready for their onward journey. This entry was posted in Airports, Business, Travel, Travel Management, Travelers and tagged heathrow airport, John Arbuckle, New Arrivals Lounge, Pauline Cheung, Plaza Premium Group. Bookmark the permalink.